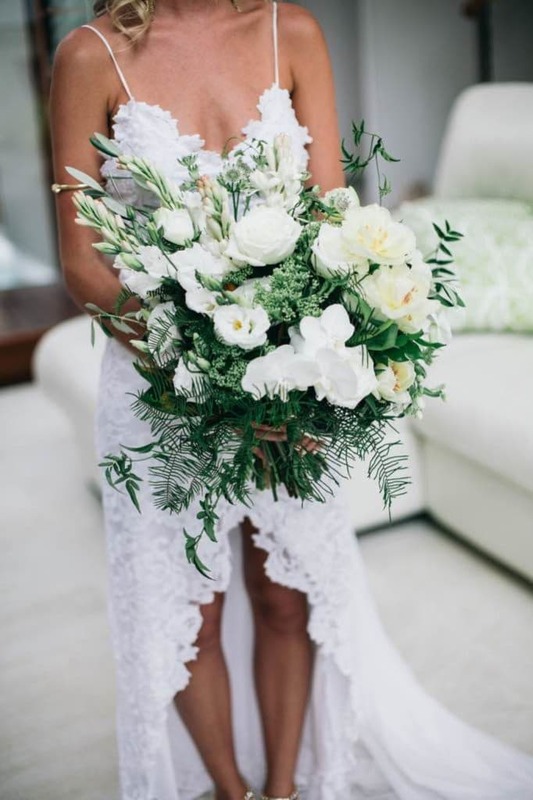 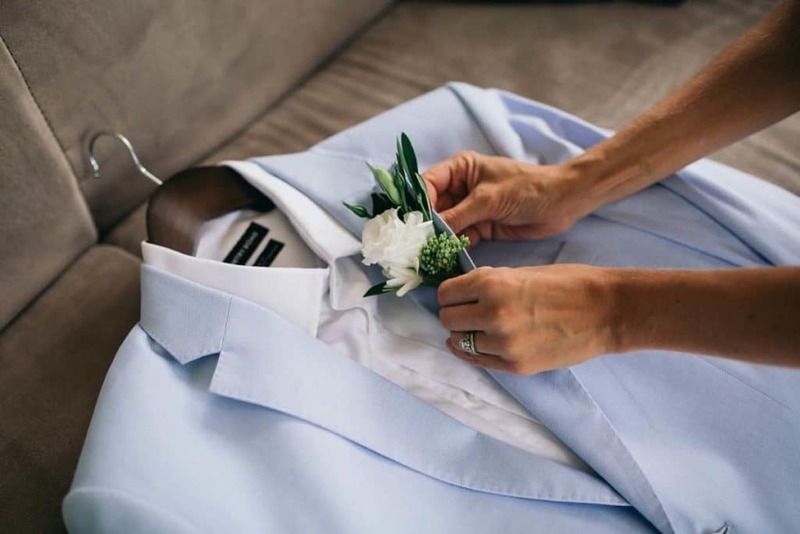 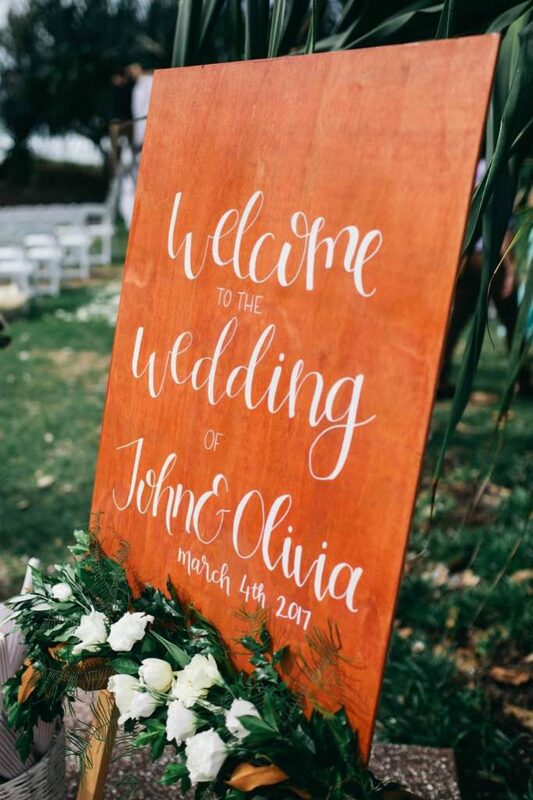 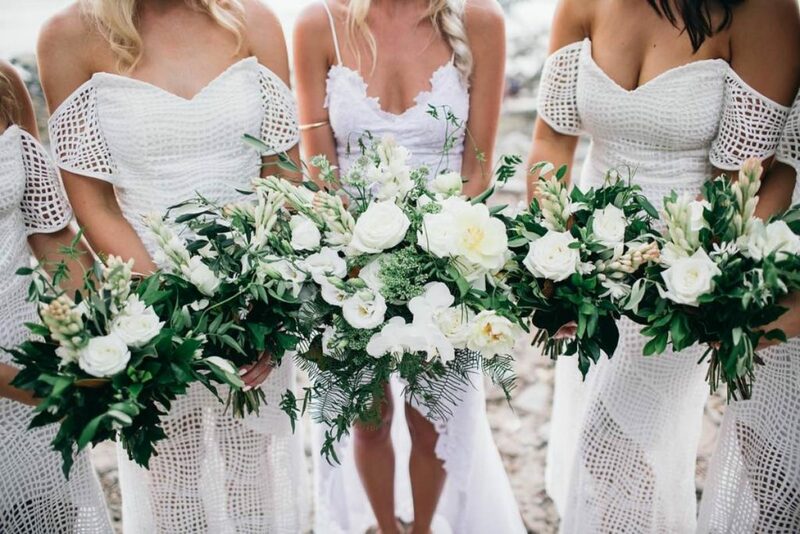 Liv and John had a luxurious tropical vibe, with Bohemian styling in Noosa. 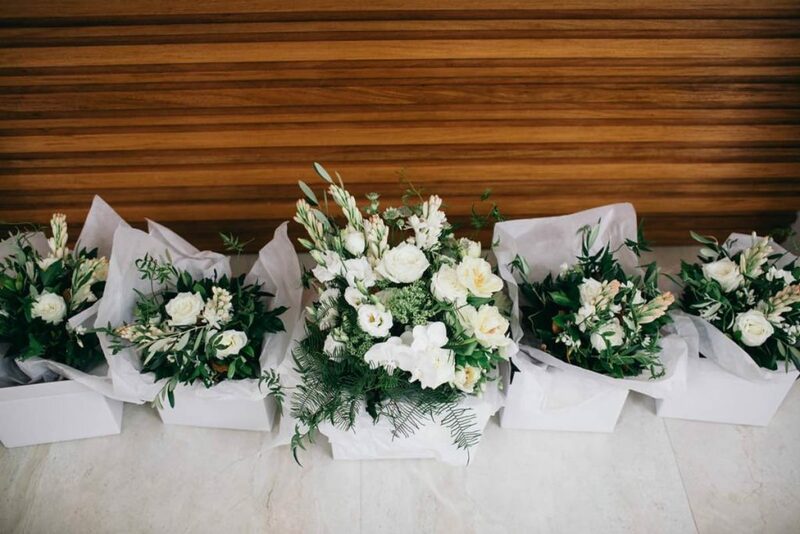 The bouquets filled the air with the scent of tuberose. 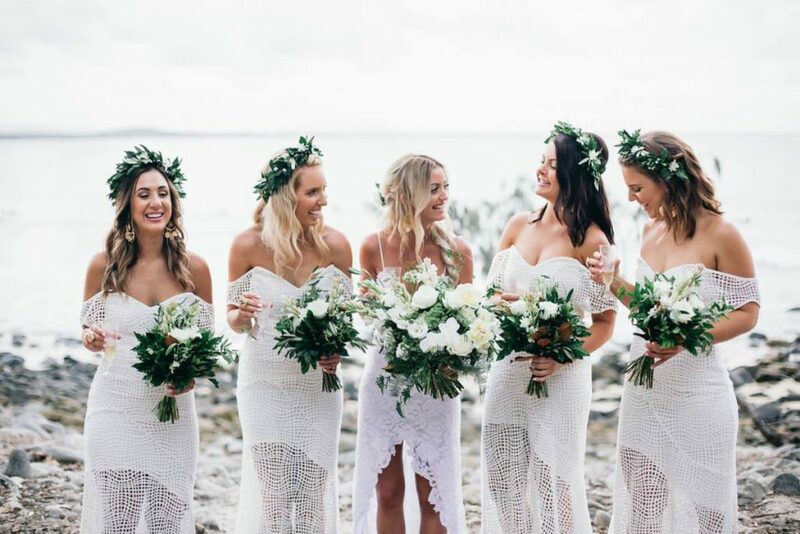 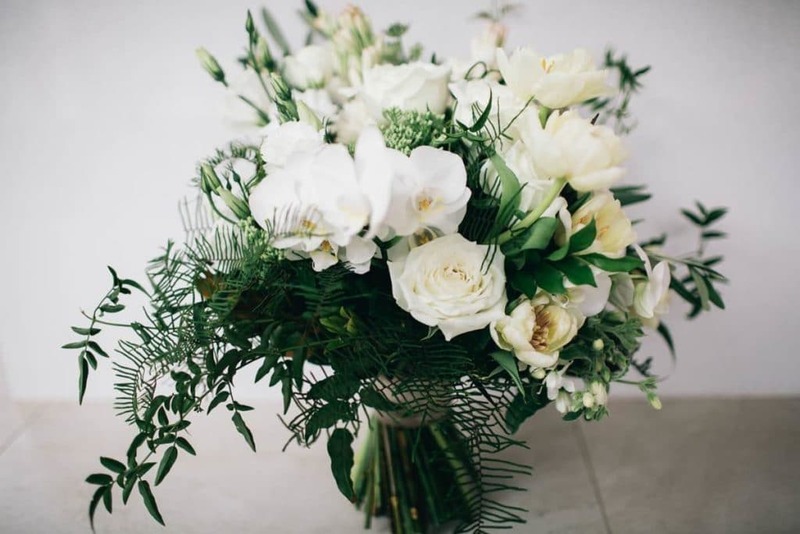 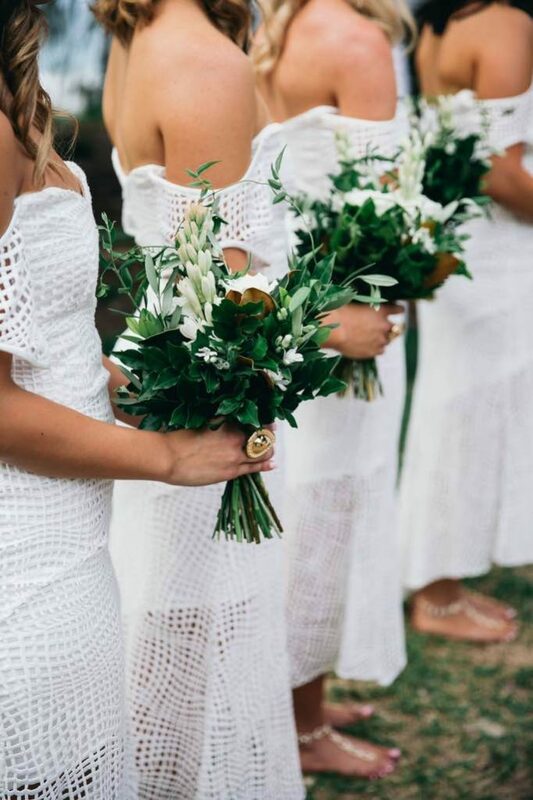 A mix of lush greens with tropical leaves, crisp white orchids, and other white textural elements including roses and lissianthus complimented the bridesmaids white dresses. 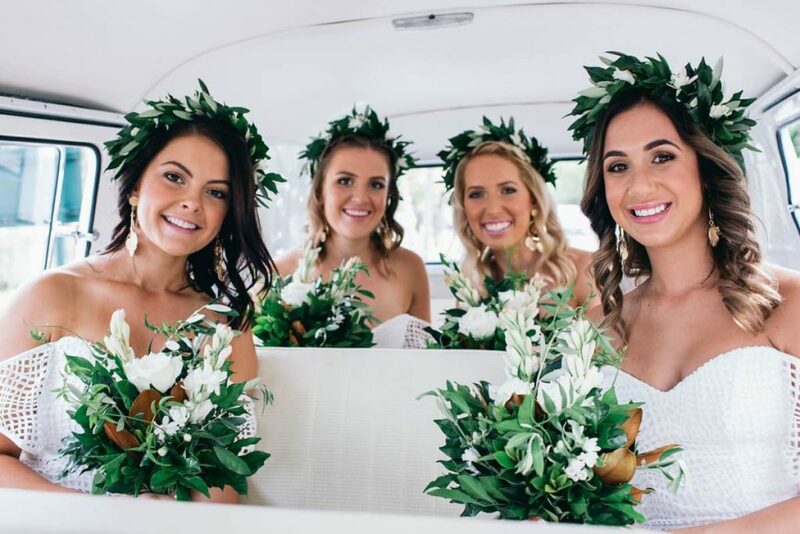 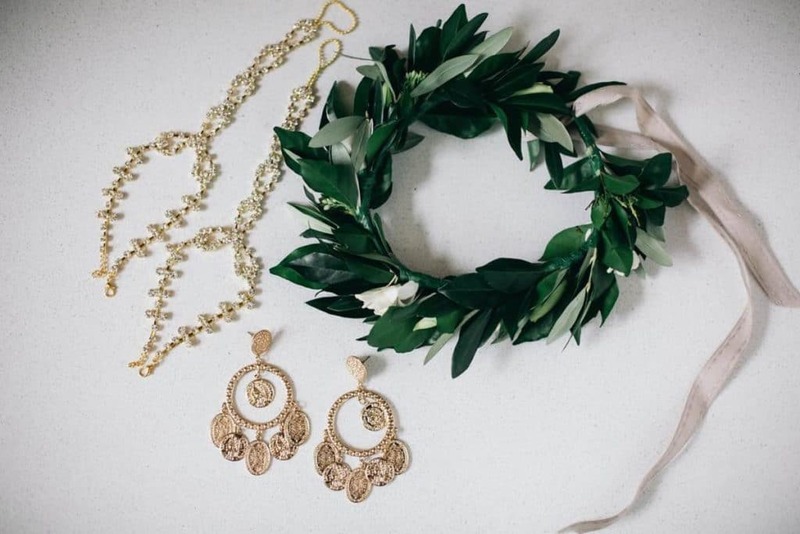 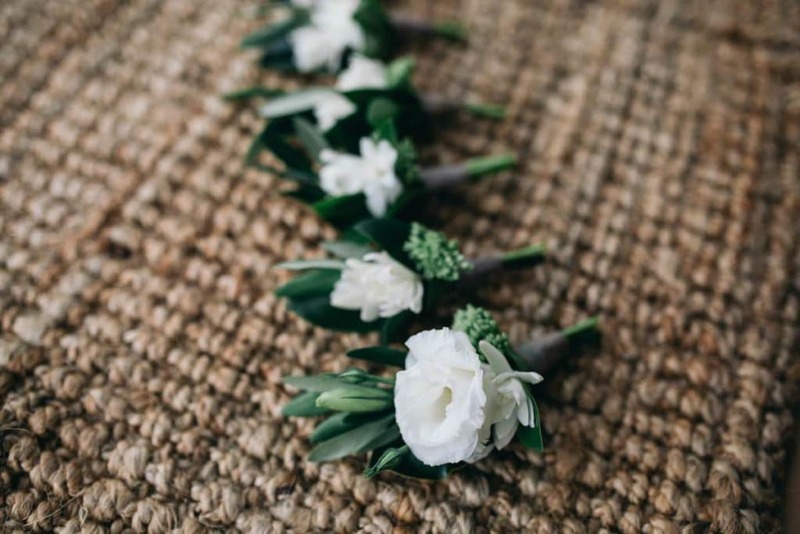 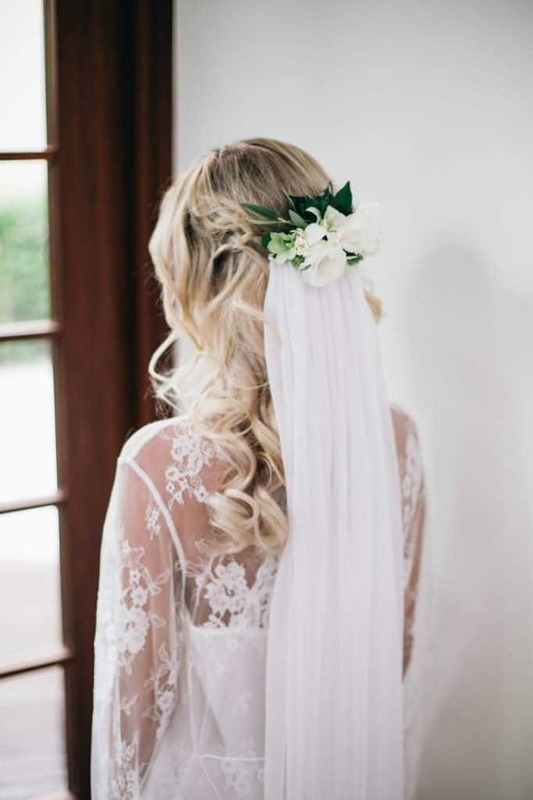 The bridesmaids wore lush green flower crowns, and the bride a stunning floral hairpiece. 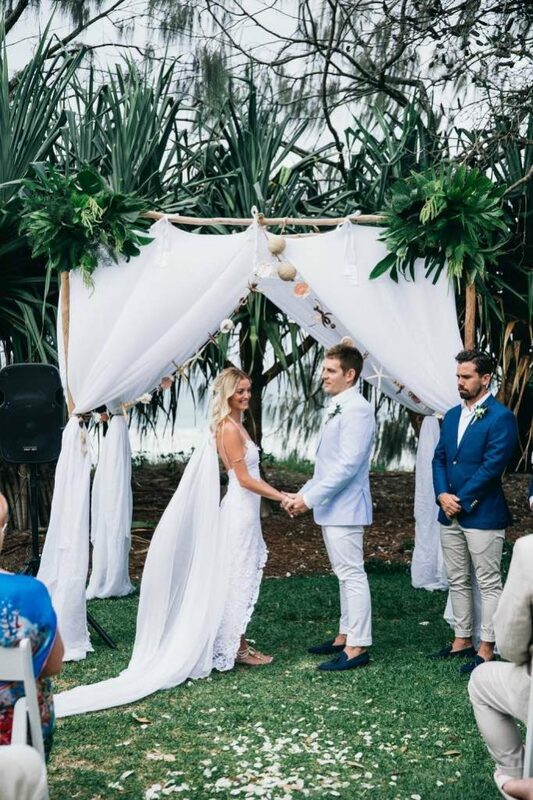 Their ceremony was at the gorgeous Mason La Plage. 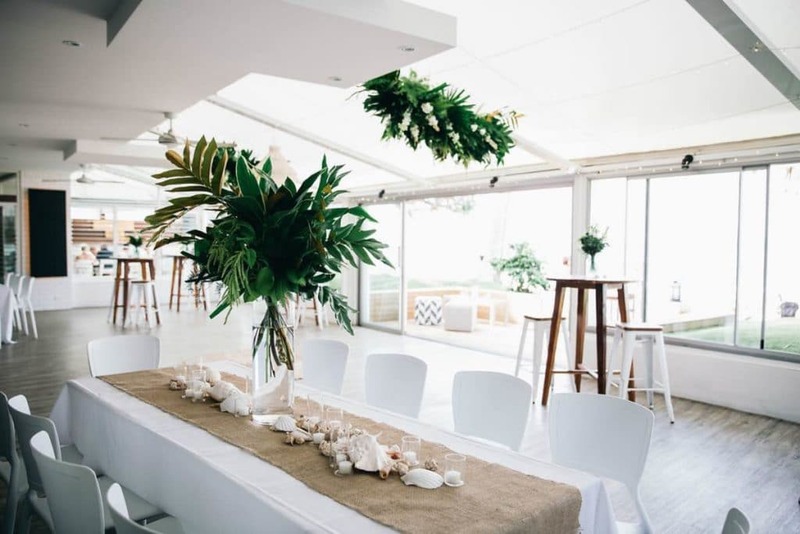 The styling by Splash events on the day was simple but perfectly matched with our lush tropical clusters on the ceremony arbour. 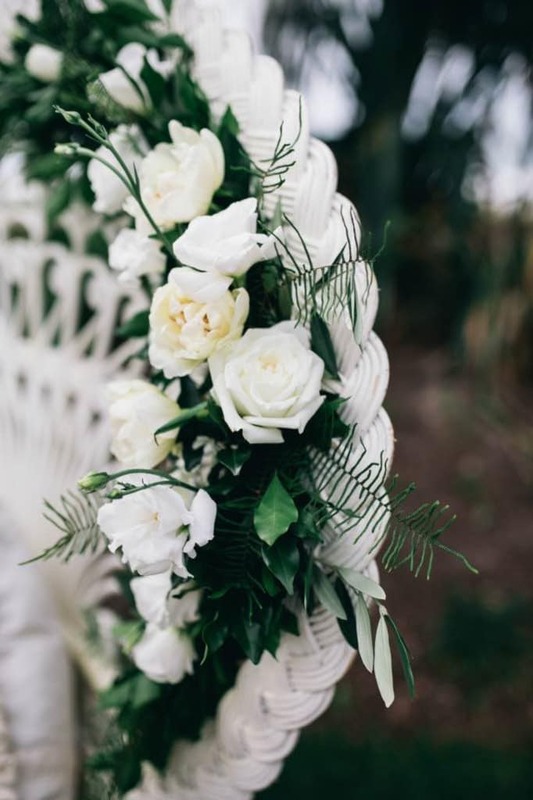 We loved the floral feature on the seatbacks of the bride and grooms chairs. 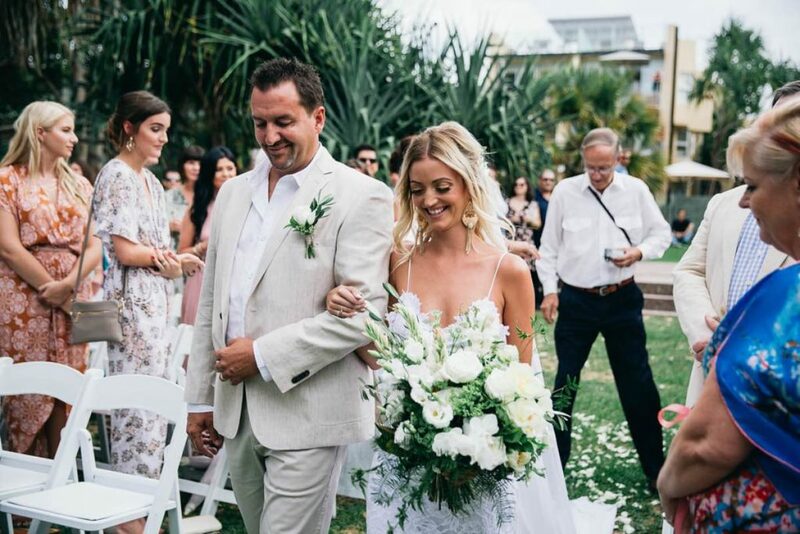 The celebrant was Jay Flood. 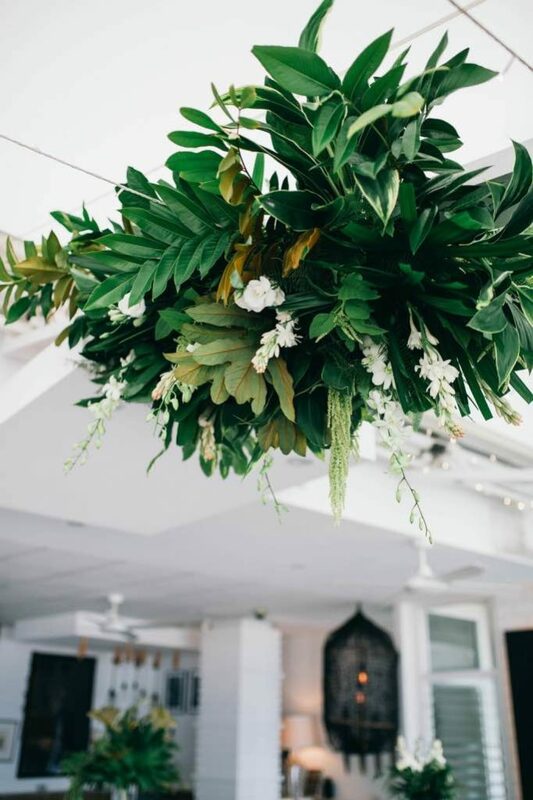 The reception included a feature hanging display of tropical leaves and textures, with a few pops of white. 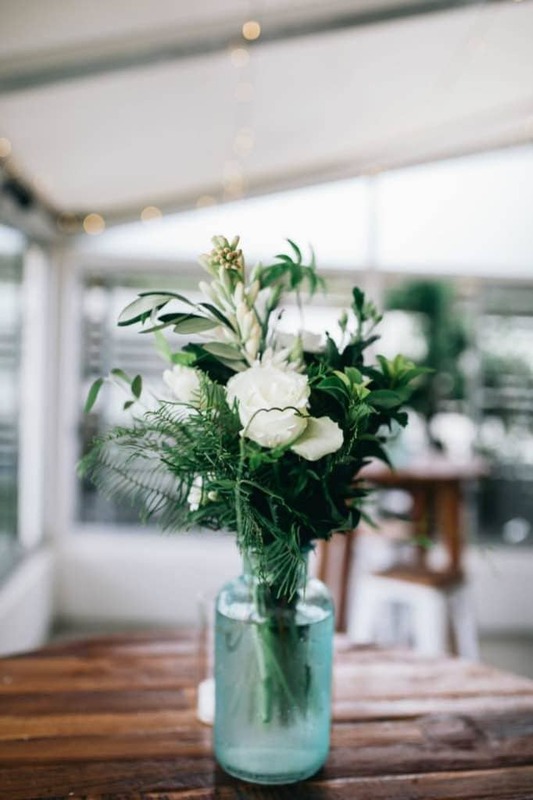 Several vases placed around Bistro C of large structured tropical leaves and smaller arrangements in whites and greens to compliment the bridal bouquets.